Beginning February 4, Macon-Bibb County will again be a movie set as Sony Pictures/Gravitational Productions films scenes for an upcoming movie along the lower portion of Eisenhower Parkway. Crews are expected to be in the area this week to begin setting up. 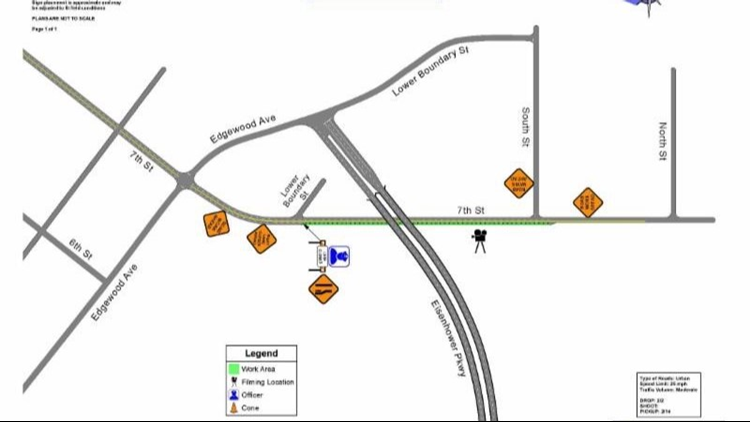 From Monday, February 4 through Sunday, February 10, a portion of Eisenhower Parkway and a lane of 7th Street will be closed to traffic. This movie follows several that have filmed in Macon-Bibb, including The Bingo Long Traveling All-Stars & Motor Kings, Wise Blood, A Trip to Bountiful, The Crazies, Trouble with the Curve, 42, Need For Speed, The Fifth Wave, and The Best of Enemies. Several television shows have also filmed here, including Brockmire, The Originals, The Vampire Diaries, and Witches of East End.